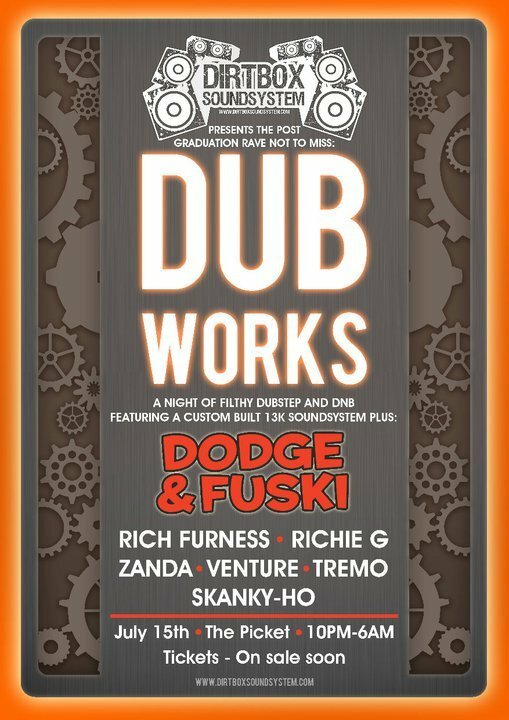 Ear Infection Mixes: THE DUBWORKS WITH DODGE AND FUSKI! 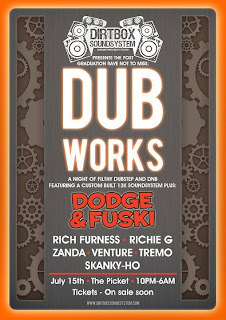 THE DUBWORKS WITH DODGE AND FUSKI! Dirtbox Soundsystem makes it eagerly awaited debut in Liverpool under the banner of The Dub Works at the Picket. Bringing you a night of dubstep and d'n'b in the form of well known Liverpool residents (one of whom celebrates his birthday on this day), a very special guest and some of Dirtbox's very own we will be pumping it out through our newly completed custom built 13KW soundsystem. If you haven’t already heard of Dodge & Fuski yet you soon will as these guys are on the button. In the second half of 2010 the dubstep and drum & bass duo racked up over 500k views on Youtube and been championed by Radio 1, 1 Xtra and the world’s leading YouTube dubstep channel UKF. Alongside standout tracks such as ‘Pornstep’ and ‘Go Nuts’, they have also made a name for themselves remixing the likes of Deekline, Wizard, Ed Solo, Blatta & Inesha, Funkystepz and DJ Assault by twisting up dubstep, electro and D&B flavours to create a fresh contemporary sound. Tickets on sale soon - so watch this space!